It is our pleasure to be able to bring the BERNINA Sewapalooza Roadshow to Mt. Airy! This is a inspirational sewing event that will be fun, creative, a great time with friends who sew. Our presenter will be national educator, Betsy Carlson. 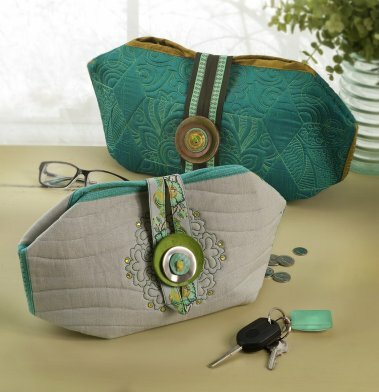 She will give expert guidance with multiple quilting, embroidery, and sewing techniques as you work on and complete a beautiful week-end clutch. BERNINA Sewing/Embroidery machines will be provided for class. You will also receive a $50.00 project kit and a Sewapalooza Souvenir Kit with the project instructions for the class and inspirational pieces that are shown during the event, a USB stick with the files needed to recreate the project on your own and other great Sewapalooza goodies. Lunch, snacks, and drinks will be provided. Class fee: $150.00.